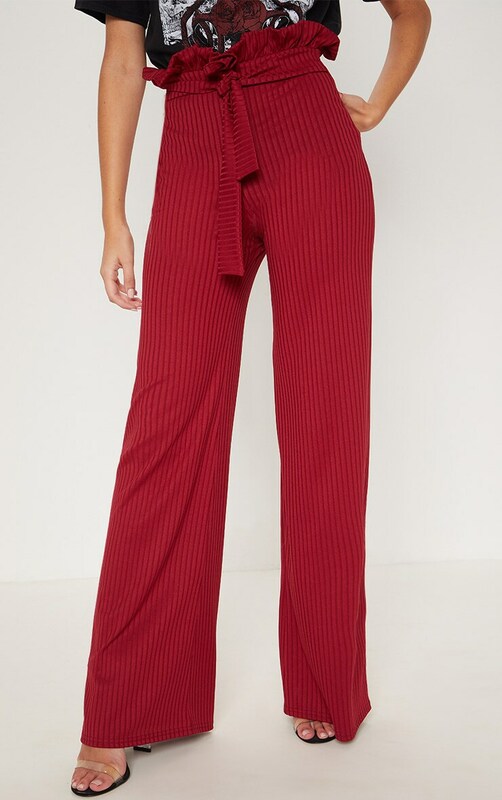 These pants are perfect to dress up or down girl. 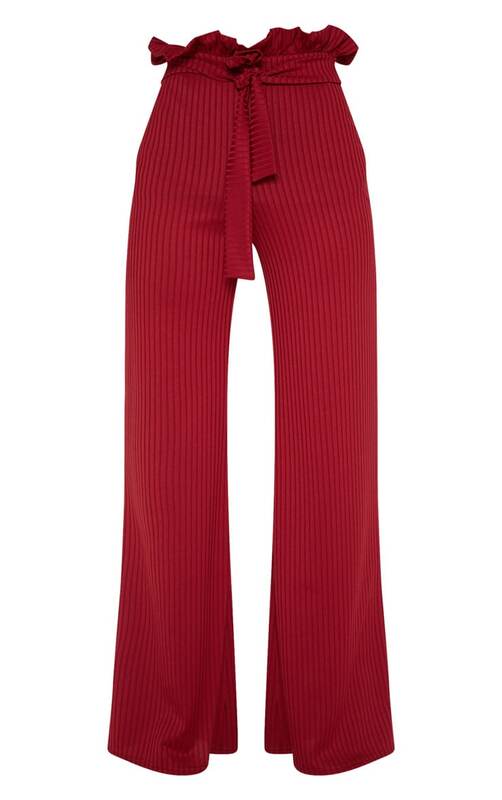 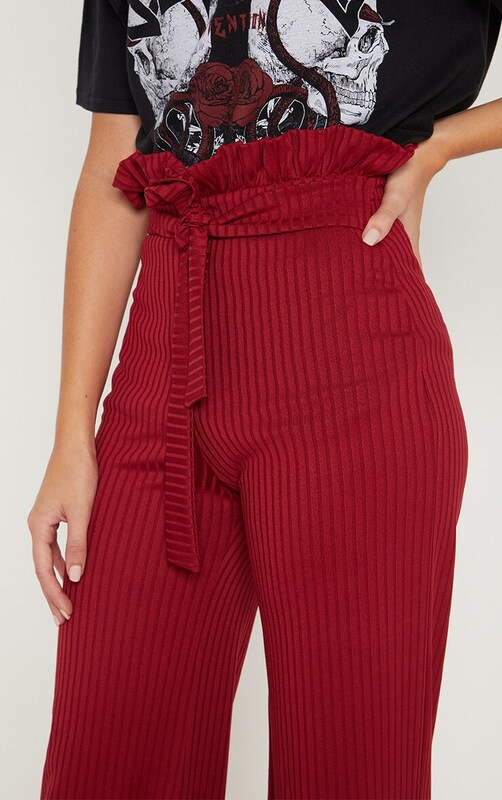 Featuring a ribbed burgundy material with a tie waist detail and a wide-leg fit. 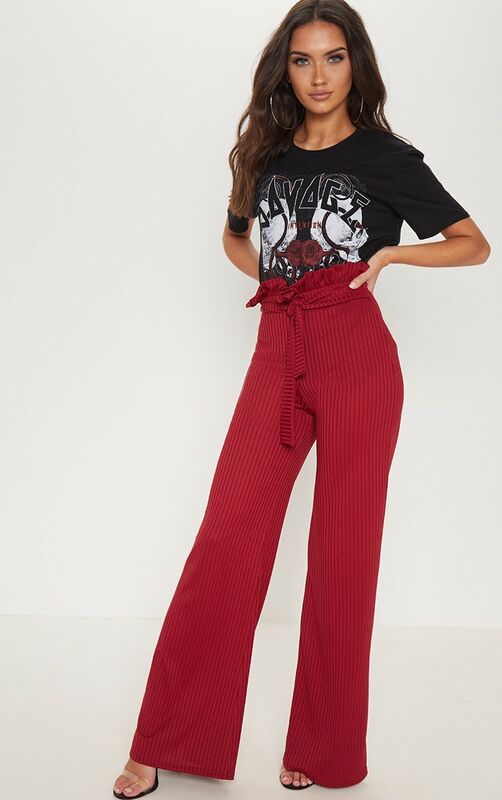 Team these pants with a slogan tee and strappy heels for a day to night look.